Recently, my friend Alex came to visit. She had one day in NYC and immediately knew she wanted to check out the Cindy Sherman exhibit at the MOMA. I have to say, it was pretty amazing. It's definitely worth checking out. 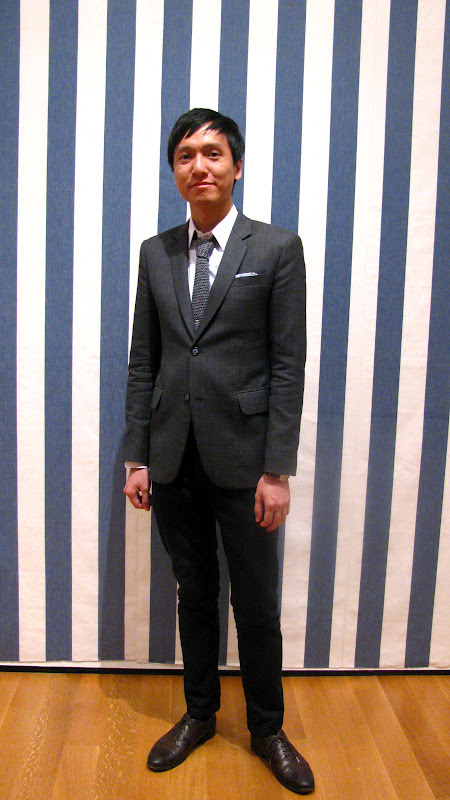 We roamed the museum for a while and came across these lovely canvas stripes, perfect for some street style photos! The lightening was kind of lack luster, but the colors brought out each of our looks. 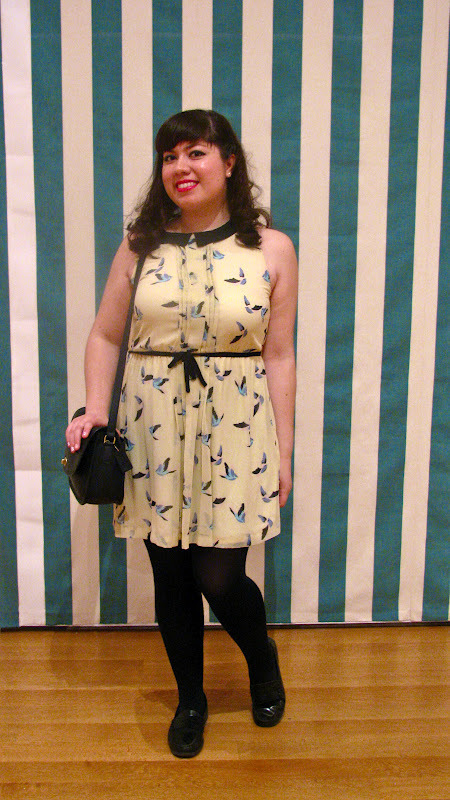 I wore my new Zara dress, which was perfect for the sunny, spring weather. 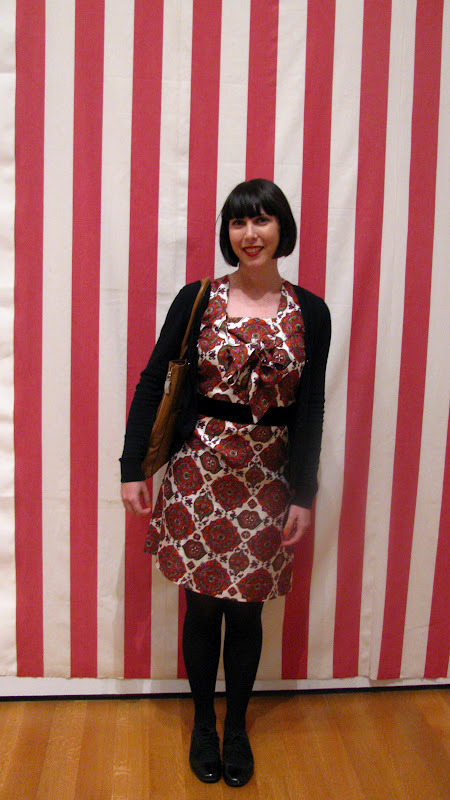 Here is Alex looking ever so lovely in her See by Chloe dress. Here is my friend Mark looking quite dapper. 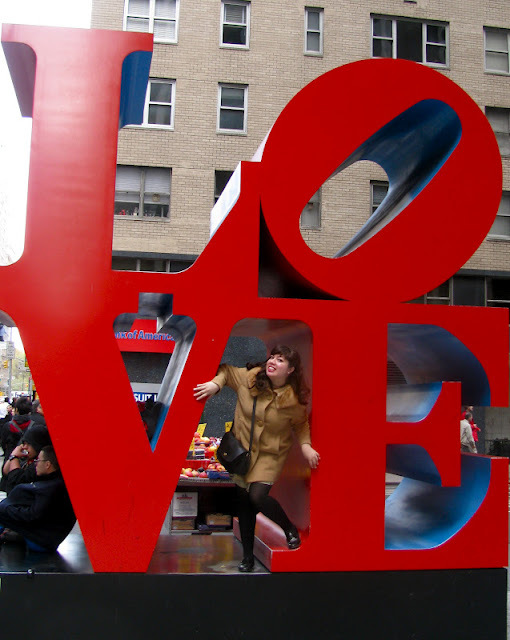 On my way home, I couldn't resist taking a picture with the Love statue! What I Wore To Work: Too much Cat Smock?